Villanova is headed to its second Final Four in three years. Behind a balanced effort, No. 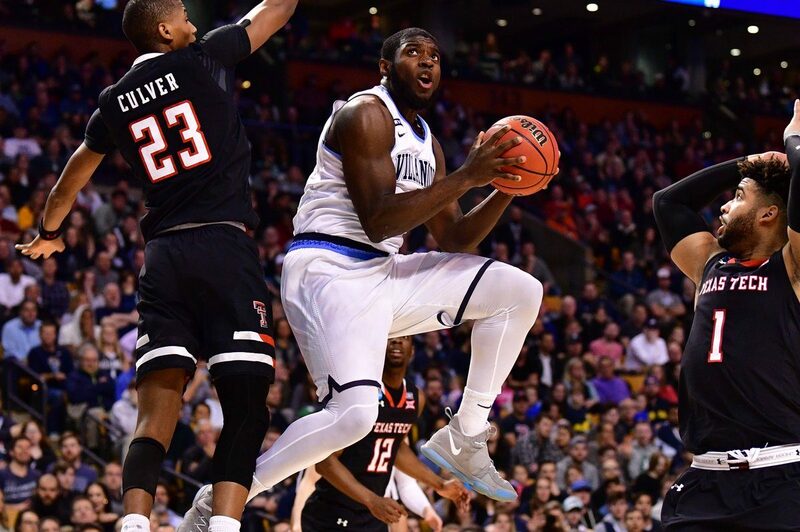 1 Villanova knocked off No 3 Texas Tech, 71-59, in the East Regional final at Boston’s TD Garden. Led by coach Jay Wright, the Wildcats will take a nine-game winning streak into one national semifinal on Saturday in San Antonio against the Duke/Kansas winner. Loyola-Chicago faces Michigan in the other national semifinal. The Wildcats won the 2016 NCAA title over North Carolina when Jalen Brunson, Mikal Bridges and Phil Booth were all on the team, and that same group is now two wins from their second championship in three years. Eric Paschall went for 15 rebounds and 12 points and Brunson tallied 15 points, 6 rebounds and 4 assists. Donte DiVincenzo added 12 points and 8 rebounds, Mikal Bridges 12 points and 5 boards and Omari Spellman 11 points and 6 rebounds. After netting 44 three-pointers in their first three NCAA Tournament games, the Wildcats converted just 4-of-24 in this one. But the Wildcats did shoot 29-of-35 from the line. Texas Tech star Keenan Evans was held to 12 points on 3-of-15 shooting.